It’s always fun to attend conferences. 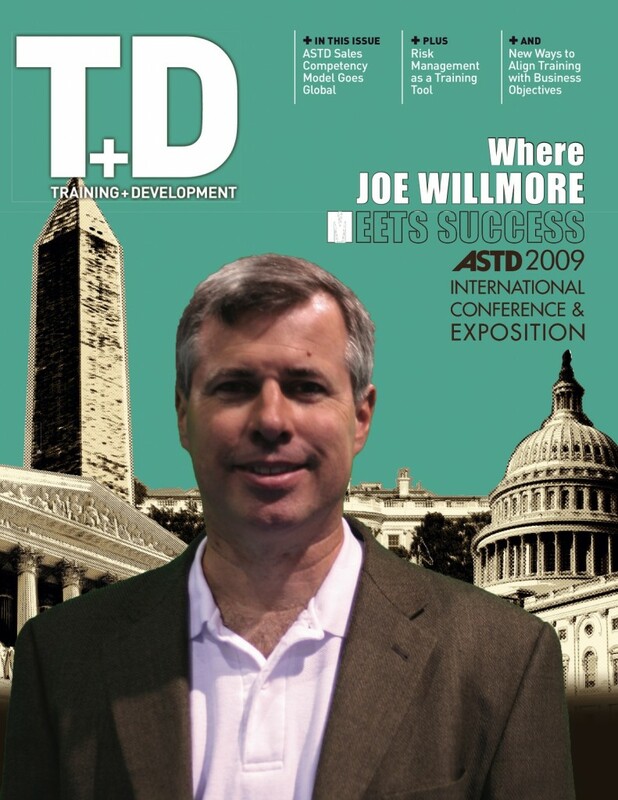 At the 2009 ASTD International Conference, one of the things the staff did was allow attendees to pose on their own T+D cover. Okay, it may be a conference promotional tool but it’s nice to see a performance consultant on the cover of a trade magazine! Those of you who have talked with me a lot or have read some of my work (especially No Magic Bullet) know how highly I think of Geary Rummler. The performance world lost a true friend and original pathfinder when he passed away in 2008. I’ve had a couple of opportunities to look at where performance improvement is headed and how I think it may play out in the future (see T+D, August 2004, “The Future of Performance”). I know there are a lot of HPI/HPT thought leaders who argue that the future is bright for those in the performance field—that this is a growth industry. I don’t think it’s that simple. Some recent client work with the intelligence community took me out to Honolulu. Despite being busy with client demands, I had an opportunity to take a US Navy tour of Pearl Harbor. Seeing the sites and revisiting the lessons from Pearl Harbor attack are a sobering experience. The picture you see is from the USS Arizona memorial. The Arizona still rests on the bottom of Pearl Harbor with over 1,000 of her sailors and marines still entombed within her hull. Oil from the hull still leaks out to this day (that’s what the picture shows—the oil slick from underneath the Arizona Memorial).